It’s amazing how fast time flies by. Today marks one year since the passing of my life hero Prince. I listen to his music while creating personal art or working on freelance projects. Prince will always be a strong influence in my creative process. I’ve always felt like I didn’t fit with society. Discovering Prince when I was in Junior High was a huge blessing for me. Not only was his dress and music unique, he didn’t care if he fitted in either. He just did what he loved regardless of what anyone thought which is a great message for a young person to learn to apply to their personal life into adult hood. Prince’s music always makes me feel at home and part of a unique family. 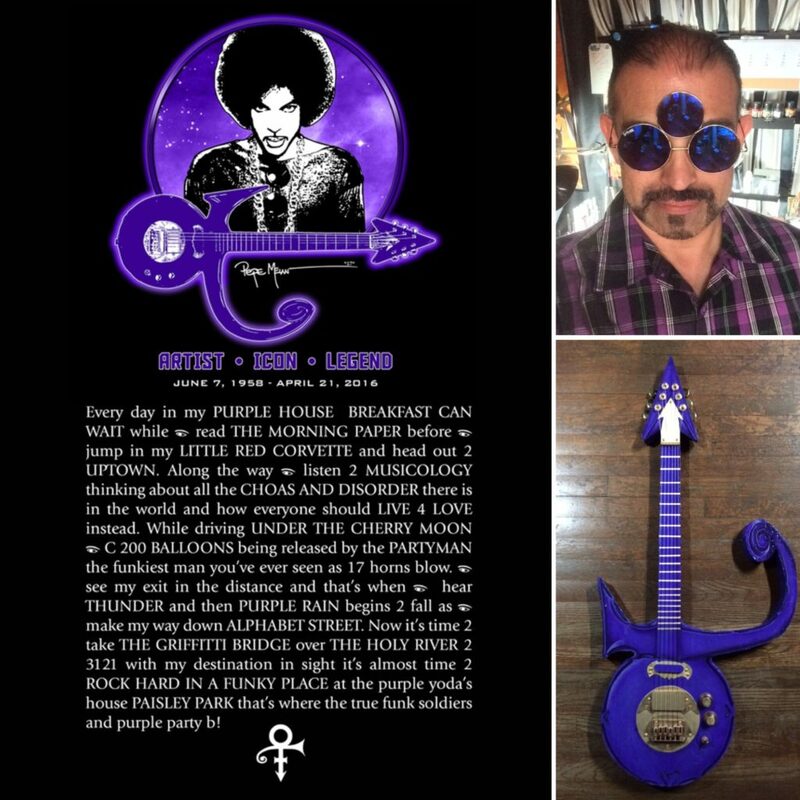 Just got these 3RDEYE Prince sunglasses a few days ago and I made the symbol guitar for my halloween costume last year. This artwork is created in Prince’s honor of what he means to me. Peace B wild!